The most important part of the veg garden apart from the soil is planning and Suttons have created a great web based tool to allow you to plan your crops easily. Gardening for Health took out a subscription to the Grow Veg.com online garden planner last year and it has been a real time saving tool. Planning a vegetable garden requires knowledge of the types of crops you are planting and a health crop rotation system. This can take hours when drawing your plot out on paper and fiddling around to fit everything in, only to find that you have put something in the wrong place and have to start all over again. 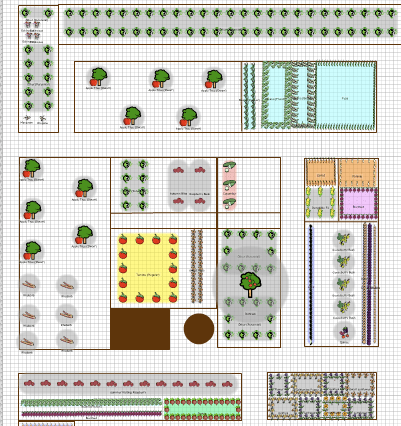 Suttons garden planner makes it easy to lay out your plot and save it as a master for future use. The library of crops includes almost all the fruit and vegetables you could possibly want with herbs, perennials and flowers thrown in as well. Plants are spaced correctly, quantities calculated and you can even go as far as to choose specific varieties. E.mails are sent to you when it is time to sow seed or harvest and the programme allows you to tailor your site to allow multi cropping for small areas and in the following season, the rotational cropping facility turns red to avoid planting things from the same family, thereby limiting the risk of soil borne diseases. You can adapt the area to suit your soil type and weather patterns with first and last frost dates. Throughout the growing season there is also the ability to attach notes to varieties about disease resistance, weather tolerance and yield at harvest. All in all, we think that the £15 per year price tag is excellent value for money and certainly saves time and a lot of note taking. Added extras on the website include a blog where gardener’s can swap notes and ideas. For more information and a free trial, visit the GrowVeg.com website.